Santa Cruz Church is a Roman Catholic church in Bangkok. It is located in Thon Buri District on the west bank of Chao Phraya River, in the neighbourhood known as Kudi Chin. Santa Cruz Church is a Roman Catholic church in Bangkok. It is located in Thon Buri District on the west bank of Chao Phraya River, in the neighbourhood known as Kudi Chin. A church was first built on the site, which had been granted to a community of Portuguese Catholics, around 1770. It was then the main Catholic church in Bangkok, and served as the seat of the Apostolic Vicariate of Siam until 1821, when Assumption Cathedral was completed. The current building, in Renaissance Revival style, was built in 1913–1916 to replace a second structure from 1845. A legacy of solid Portuguese-Siamese relations, Santa Cruz Church still stands strong on the west bank. In the 1500s, Portugal signed a treaty with Ayutthaya that would lead to centuries of friendship. The Portuguese were to supply firearms and weaponries while the Siamese granted them the rights to live, work, and play in Thailand. With this also came their freedom to practice their religion. When the fall of Ayutthaya came in 1767, the Portuguese continued to support to King Taksin in driving the Burmese out of Siam and even followed him to the new capital site in present day Bangkok. Upon arrival, the Portuguese were given land to build their communities. On Thonburi side, Santa Cruz Church was established and quickly became a center for Catholics. However, the Portuguese were soon to be splintered into two groups. 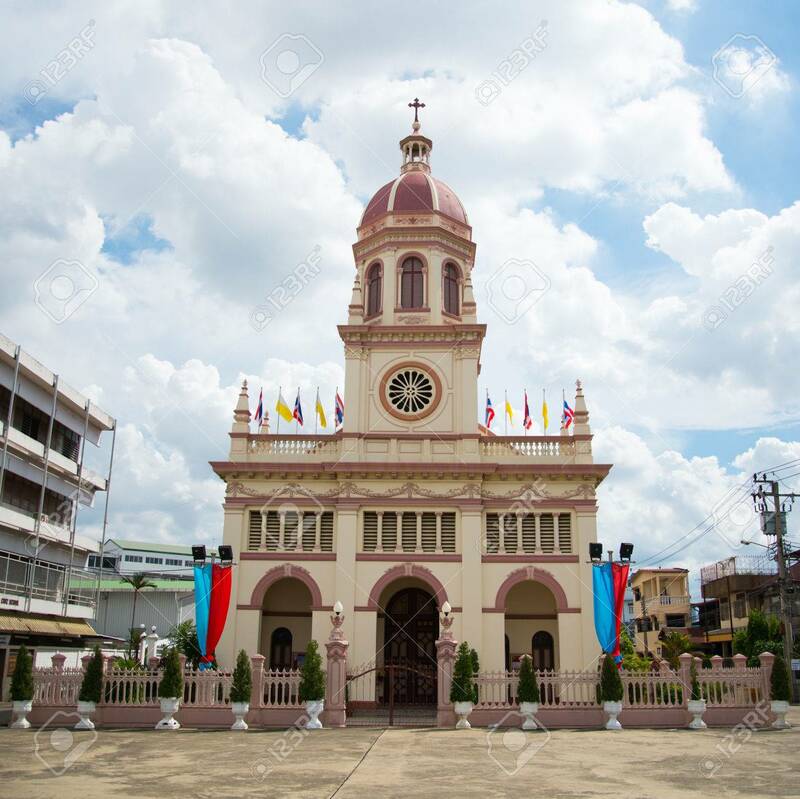 One decided to follow the leadership of the French clergy that established the Santa Cruz church in Thonburi while the other rejected it to go off on their own and eventually built a sister church Holy Rosary Church on the opposite bank. Santa Cruz Church’s presence eventually became the reason for the surrounding community’s name today. Its architecture, having Chinese influences, led the locals to nickname it Kudi Jeen, meaning “Chinese church”. Today, if you find the church, marvel at its features and history, but also be sure to explore the winding alleyways of the charming Kudi Jeenneighborhood. You will find Khanom Farang Kudi Jeen, a Portuguese influenced sweet baked pastry, yet another heritage of the Portuguese ties.